Ask a woman where her love or knowledge of beauty comes from and she will often mention her mother. Whether it be the cream you remember your mum applying religiously at night, or the importance of cleansing she passed onto you as a young adult – these beauty lessons are often shared from generation to generation. Dr. LeWinn’s Brand Ambassador, Anna Bamford, has been a fan of the brand for many years having first been introduced to it by her mother, Nancy. Looking after her skin has always been paramount to Anna, something she’s also learned from her mum. 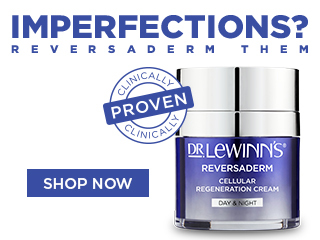 The skincare experts at Dr. LeWinn’s are committed to providing skincare solutions for women at every stage of life, with an array of products created to suit the needs of both you and your mum.